Few things are more delicious than a pizza fresh from the oven. The bubbly, melty cheese and fragrant tang of tomatoes can be enough to make the laborious task of at-home pizza worth the effort over ordering from your favorite take-out joint; but if your kitchen is anything like mine, you probably don’t have a stone, brick, or wood-fired oven to replicate the coveted super-crispy, rustic-style crust. Enter the pizza stone. A heavy slab made of [usually] ceramic or stone, these inviting surfaces promise a vastly improved pizza-baking experience for the home cook. Most pizza stones come with the recommendation to place it into a cold oven and let it come up to temperature during the pre-heating process. This ensures the stone itself will be nice and hot when you’re ready to slide the dough on top, thus more closely replicating a high-temperature pizza oven than your standard-issue sheet tray. 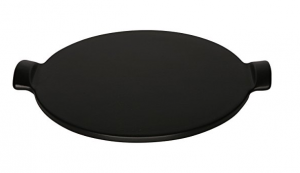 So, why is it even a question as to whether or not a pizza stone is worth adding to your own lineup of cookware? Well, as mentioned, they’re heavy. And fairly large. And navigating an uncooked pizza onto a hot stone requires a certain level of safety diligence. 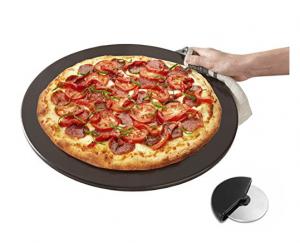 Storage and burnt finger woes aside, however, if you enjoy cooking pizza at home, you’ll probably welcome a pizza stone. This affordable ceramic stone includes a pizza cutter, is stain and odor-resistant, and has a lifetime guarantee. It’s 1/2 thickness allows it to heat up quickly, but the thinner the pizza stone, the more rapidly it loses heat, so you’ll need to work quickly between removing it from the pre-heated oven and putting it back in to bake off your pizza. Given the friendly price point and excellent reviews, this is a great choice for beginning your foray into the world of pizza stones. The Emile Henry name no doubt implies quality, and this stone is worthy of the brand’s reputation. 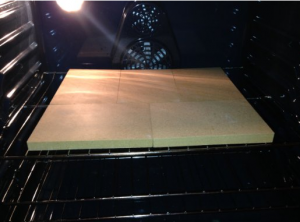 Heat-safe up to 900*C, this glazed ceramic baking stone can be used in an oven, as well as on charcoal and gas grills. This piece is also about 1/2″ thick, so while it may not hold the heat of a more robust stone, it’ll heat up quickly and won’t require teamwork to lift. 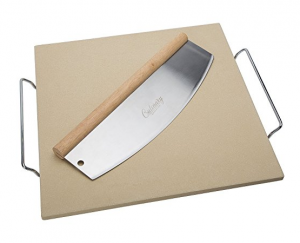 Standing out with its square design, this pizza stone also features useful handles and includes a mean-looking, 14″ cutter. 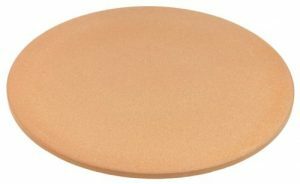 This stone is only 1/4″ thick however, so it won’t retain as much heat, but it will come up to temp quickly and the square design may yield more flexibility than a round pizza stone, depending upon your needs. 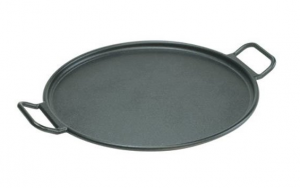 Lodge is well-known for their affordable, quality cast iron cookware, and this baking pan is no exception. Made of solid cast iron and pre-seasoned, this baby is ready to use right out of the box (maybe just give it a quick rinse first). Cast iron retains heat like nobody’s business and if you’ve ever crisped up dough of any kind in a cast iron skillet, you already know what I’m talking about. Consider this Lodge piece as an option if you might want a little more versatility out of your pizza stone. This unique stone actually comes as five separate pieces (super handy for configuring to the individual needs of each bake! ), and is the thickest of our lineup so far. These stones are 3/4″ thick, meaning they retain high levels of heat exceptionally well. They do not need to be seasoned, they’re appropriate for use on the grill, and the multiple pieces mean there’s less chance of breakage due to weight or heat stress. So, is a pizza stone worth buying? In our opinion—yes! If you make your own pizza with any significant frequency, upgrading to a pizza stone just might enhance your experience even further. What are your thoughts? Do you think a baking stone is a worthwhile purchase? ← What Is The Safest / Healthiest Type Of Cookware?